Since purchasing my wife’s engagement ring, The House of Diamonds has been my EXCLUSIVE source of beautiful, high-quality jewelry. Moe provides a superior product, exceptional customer service, and the absolute best prices that you will find. Not only is he the absolute BEST jeweler in the country, he has also become a wonderful friend through the years. If you give Moe ONE opportunity to serve you, I will promise you this – you will never buy your jewelry anywhere else. Thanks so much for all of you help with my jewelry needs over the years. 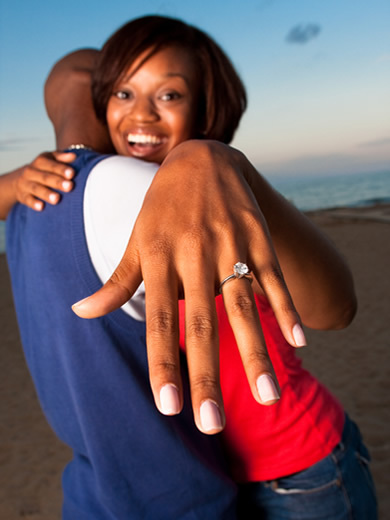 As you know, when I was searching for the perfect engagement ring, I visited jewelers all around town. But after meeting you, I knew I would be set. You were honest, sincere, clear, and extraordinarily helpful. You helped me select the perfect center and accent stones and together, we designed a unique, custom ring that continues to dazzle my wife and all who see your masterpiece!